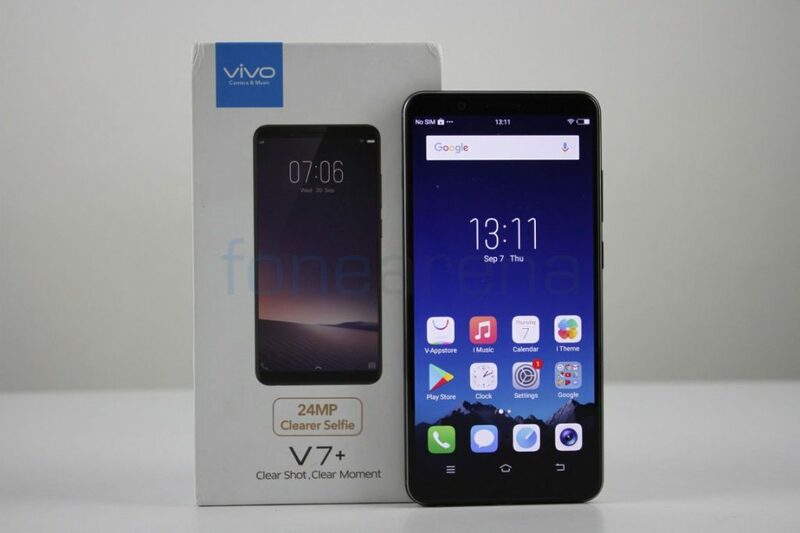 Vivo just launched the V7+ smartphone in India for Rs. 21,990. We got to check out the phone, here we have the unboxing and first impressions of the phone. 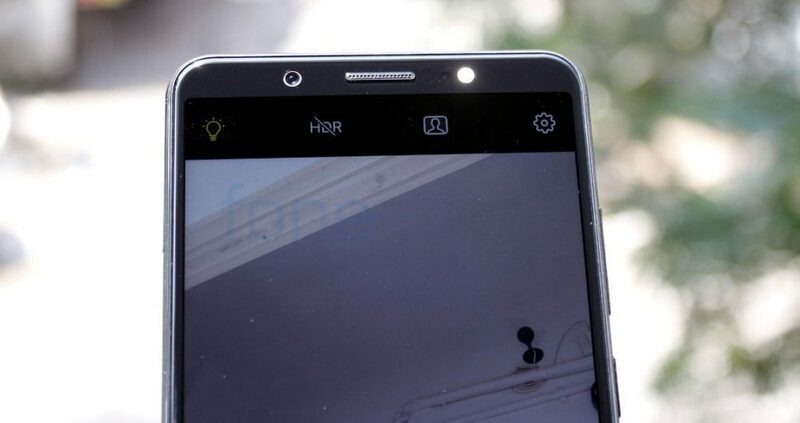 The phone has a huge 5.99-inch (1440 x 720 pixels) 18:9 FullView 2.5D curved glass display with a screen-to-body ratio of 84.4%. The screen is bright and colors are vibrant, but the pixel density of the phone is just 269 PPI, so it is not sharp compared to a 1080p screen. It also has Corning Gorilla Glass 3 protection. 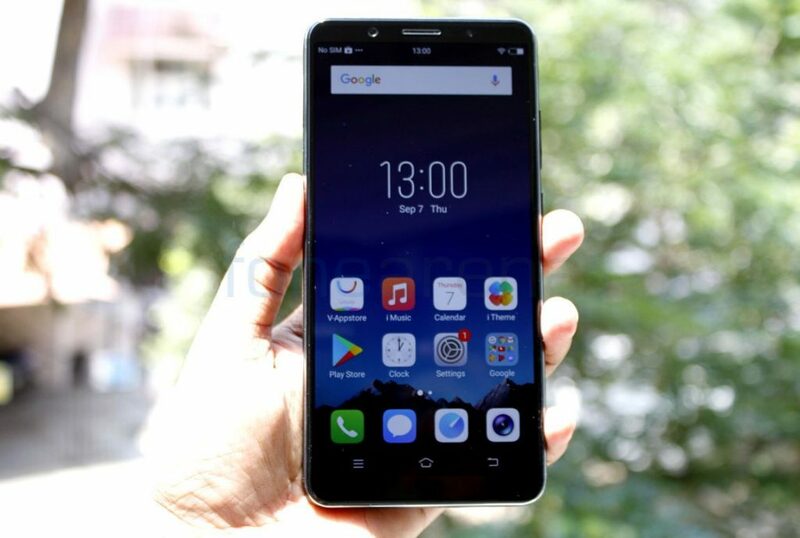 Even though there is a small bezel below the screen, the phone doesn’t have capacitive touch buttons and has on-screen buttons. On the top there is a 24-megapixel camera with f/2.0 aperture and LED flash, which the company calls Moonlight Glow. 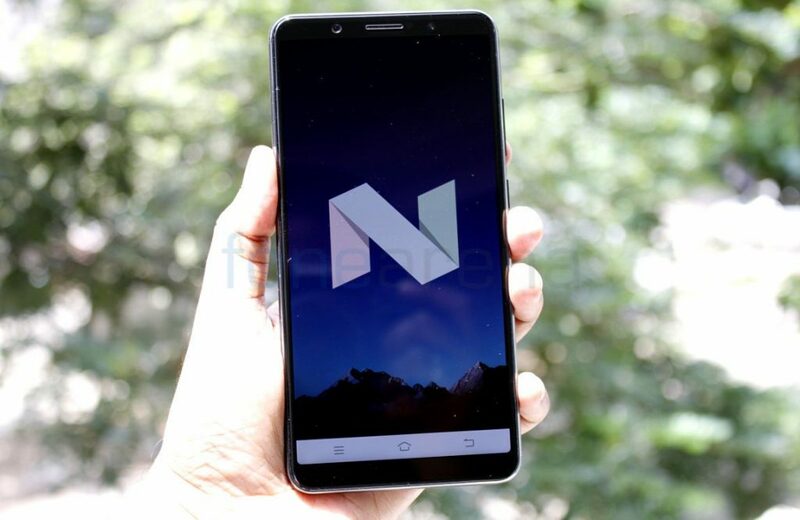 The phone runs on Android 7.1.2 (Nougat) with Funtouch OS 3.2 on top and is powered by a 1.8GHz Octa-Core Snapdragon 450 14nm Mobile Platform, which is a smaller version of the Snapdragon 625. 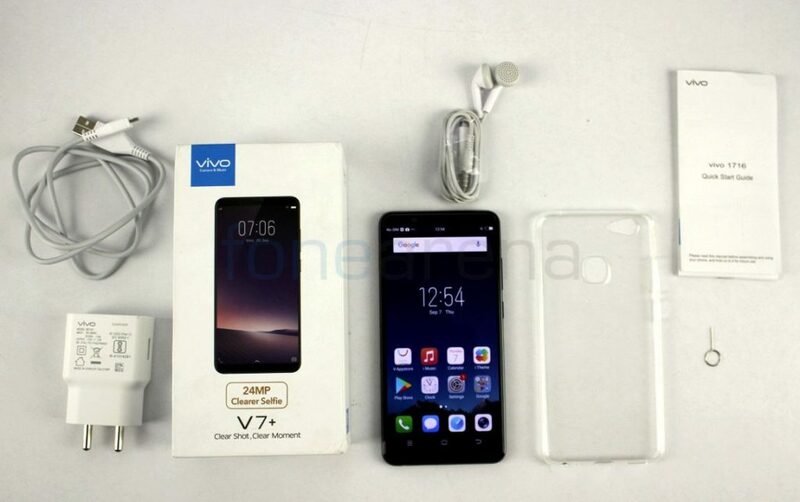 Wish the company gone with the Snapdragon 625 itself or more powerful Snapdragon 660. It has 4GB of RAM and 64GB of internal storage. 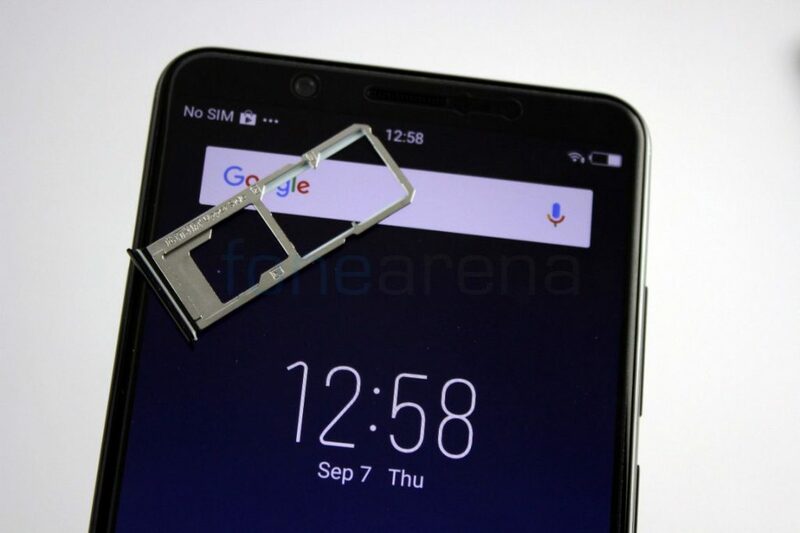 Instead of hybrid SIM slot, Vivo has gone with dedicated MicroSD Card slot that takes cards upto 256GB, in addition to dual nano SIM slots, arranged in a single tray. On the back there is a 16-megapixel camera with f/2.0 aperture, OmniVision OV16880 sensor, phase-detection auto-focus (PDAF) and single LED flash. 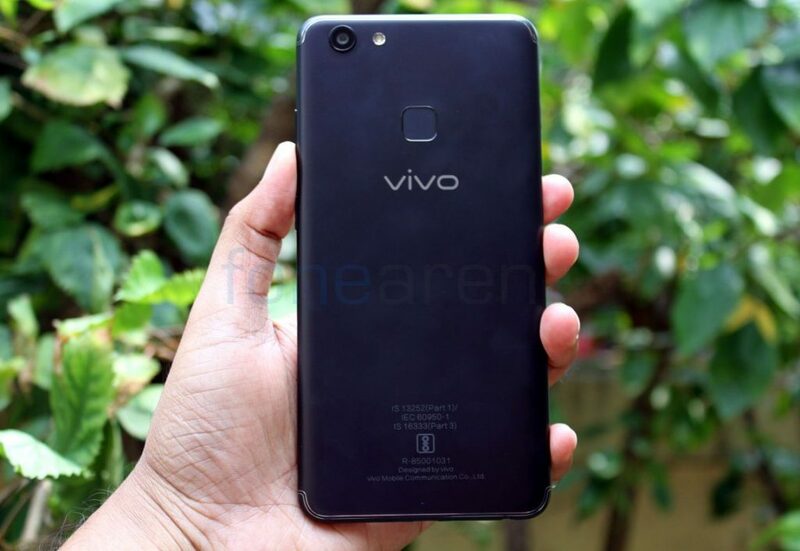 There is a fingerprint sensor below the camera that can unlock the phone quickly and there is a vivo branding below it. The phone also has a dedicated AK4376A Hi-Fi audio chip, but the bundled headphones is cheap. It has a 3225mAh built-in battery. In addition to Matte Black, the phone also comes in Champagne Gold color. It will be available for pre-order today from Amazon.in, Flipkart as well as offline retail stores and goes on sale from September 15th.